words: brett mauser | photos: matthew furman Striker Peri Maroševi? In the 1970s, before they were the talk of the soccer world in North America, before Pelé’s arrival led to their meteoric rise to fame, the New York Cosmos called Hofstra University home. They had modest results and played to modest crowds. However, they weren’t under the radar long. 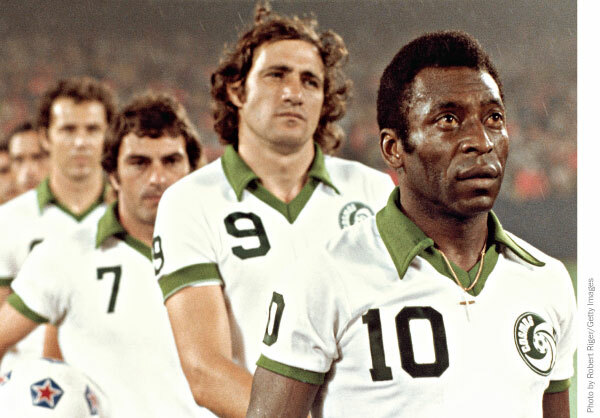 The Cosmos assembled a team of the sport’s finest, including the iconic Pelé and European stars Franz Beckenbauer and Giorgio Chinaglia, to win five league titles altogether, playing to nearly 50,000 fans a night before the decade was over. But the superstars of soccer all moved on and in their absence attendance plummeted. In June 1985 the old Cosmos played their final game, a loss to Lazio in front of 8,677 at the old Giants Stadium. 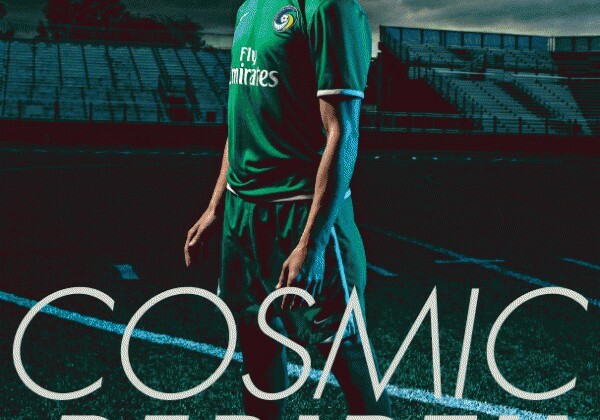 Now decades later, the Cosmos are reborn, back on Long Island where they cut their teeth in pro soccer. They begin their season next month at Hofstra’s James M. Shuart Stadium and while matching their forefathers’ fanfare is no small feat, that is exactly the club’s goal. They will capitalize on soccer’s rise in popularity in North America. It’s no niche sport anymore. Seattle’s MLS team averages nearly 40,000 fans a match. The Red Bulls are pushing 20,000 themselves. The Cosmos will play in the North American Soccer League, a feeder league for the MLS, which features 12 teams from Edmonton and Minnesota to Fort Lauderdale and San Antonio. The Cosmos heritage has much to do with entertainment. It was founded in 1971 by Warner Brothers President Steve Ross and Atlantic Records’ co-founders Ahmet & Nesuhi Ertegun. Hunter Freeman is a bit of an urban cowboy. He grew up in Allen, TX, just on the outskirts of Dallas, but is more than familiar with the countryside, having been born in east Texas. Freeman spent part of his high school years at the IMG Academy in Bradenton, FL, before an illustrious career at the University of Virginia. The Colorado Rapids selected him with the seventh overall pick in the 2005 MLS Draft and he played six seasons in MLS between four teams. One of the aforementioned teams was the Red Bulls, where Freeman played two seasons. During that time he met his wife and it’s those ties to the metro area that ultimately led Freeman to eschew MLS offers from other cities in order to return to New York. He’ll have his hands full with the North American Soccer League’s top forwards, but he still finds time to put the work in at home. He and his wife gave birth to their second daughter in the spring. The Freeman family has settled in Long Beach and enjoy being on the water. Carlos Mendes just missed the hype around the Cosmos their first time around. However his parents, immigrants from Portugal, frequented their games and thus Mendes knew the names of all the team’s greats—Pelé, Beckenbauer and Chinaglia. “The Cosmos are part of my history and now they’re part of my future,” Mendes said. His pro career has come full circle. It began on the Island as a member of the Long Island Rough Riders, took him north to Rochester and back to the metro area for seven seasons with the New York MetroStars and Red Bulls. 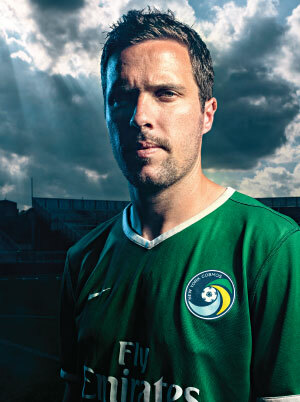 After a season with MLS’ Columbus Crew, he signed with the Cosmos. Their home field at Shuart Stadium is just 10 minutes from Mendes’ alma mater, Mineola High School. For now though, Mendes is reveling in the fact that he’s back home to finish his career. Hooking up with the Cosmos allowed him to settle in with his wife, also from Mineola, and get involved with the community. His brother works with developmentally disabled children at Mineola High School, and Mendes is able to drop in and help. An avid drummer, he also jams with his brother-in-law, Bryce Larsen, a former American Idol contestant and vocalist for the Island-based band Stealing Jane. New York—it’s a melting pot unlike any other. And that’s why striker Peri Maroševi? will fit right in. He was born in Yugoslavia, now Bosnia, to Croatian parents. In the midst of the country’s turmoil, they moved to Germany when Maroševi? was 2 and before he was a teenager the family moved to Illinois. He went to high school in Florida and starred at the University of Michigan. As a pro, he’s well traveled too, even at 23—Chicago, Dallas, Austin, Toronto, and then a season with Junak Sinj in Croatia. He’s hoping to settle down in a city that celebrates diversity. He was one of approximately 200 players invited to try out at the Cosmos combine in February, and Savarese will count on the young striker, who was taken fifth overall in the 2009 MLS SuperDraft by FC Dallas, to put the ball in the back of the net. He’s aware of the game’s greats who came before him. He will embrace his experience in the Big Apple, having only made occasional visits with other teams in the MLS. In particular, he looks forward to indulging in a wide variety of cuisine and adding some international flavor to his own kitchen. Maroševi? is quite an avid cook. Having grown up outside of Chicago and now living in New York, he has a unique perspective on pizza. Which is better? Countrymen from around the world come together for the annual Cosmos Copa tournament. Playing for one’s country on the world stage is reserved for only the most elite players. The Cosmos Copa 2013 will give hundreds of soccer players in and around New York City that chance, celebrating the diversity of New York City and the international sport of soccer. Cosmos Copa is a World Cup of sorts, this year welcoming community-based teams that represent 36 countries, from the US, England and Spain to Afghanistan, Gambia and defending champion Haiti. Group play for the tournament began in late June and after a knockout stage two teams will duel for the Copa title. Competition is fierce—wearing a country’s colors can do that. Teams have a president, coaches, practices, scrimmages and a boatload of pride. It is a citywide tournament, with games played on Randall’s Island, Pier 40, Octagon Field on Roosevelt Island, at Corona Park in Flushing Meadows and in the shadow of Yankee Stadium at Macombs Dam Park. Cosmos Copa 2013 is the fifth such tournament and has received a lift with the emergence of the New York Cosmos, who have lent their support. The New York Cosmos currently call Shuart Stadium home, a 15,000-seat facility that has hosted professional lacrosse and football in the past. But the team has its sights set on something bigger. 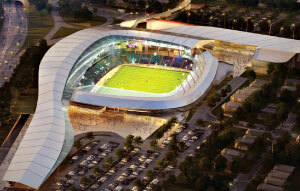 On January 11, 2013, the New York Cosmos submitted an economic development proposal, named Elmont Town Crossings, to the State of New York to transform two sections of Belmont Park into a privately-funded vibrant entertainment, retail, hotel, office and open space complex that will be anchored by a world-class professional soccer stadium. Plans for the stadium call for 25,000 seats, plus easy rail access via a skywalk over Hempstead Turnpike that would also lead to a restaurant row and a 175-room hotel. Then, of course, there is Belmont Race Track right next door. Total cost would run $400 million, all privately financed. 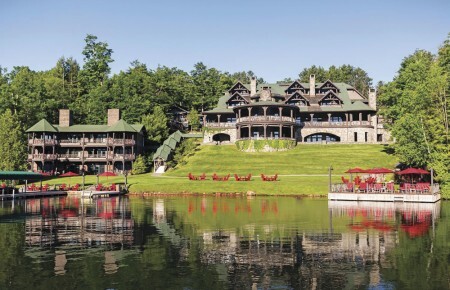 Plans were submitted to the Empire State Development Corporation, which had not announced a decision at press time.